Q: if we cancel our contract will we get our deposit back? A: This is a tough question to answer. On a Human level, I understand that things happen. But on a business level we need to keep our feelings on the side. When booking a photographer, you are taking that day off the calendar, so we have a non-refundable deposit to protect that date. Because most likely if you need to cancel we won't be booking another client to make up for the cancellation. Q: what rights do i have to digtial prints? A: We provide you the print rights to your reception and ceremony photos. You have the print rights of 8x12 at 300 dpi. This handles 95% of all printing. This gives you the rights to reproduce these images. Any large prints bigger than 8x12 we highly recommend printing with our studio, because we can't grantee the quality from another printing house. Q: do you backup your images? A: YES WE DO!! We take this very seriously. We know how important your photos are to you. With that said we have a redundancy back ups. We have 8 back ups to the 8 step editing process we perform. They include physical drives as well as cloud base storage. Q: do we recive raw, unedited images? A: NO, NEVER!! Sorry, but to us it's like asking a chef to to prepare a meal but don’t you don't want hem to cook it, It’s like giving a canvas and paint to Michelangelo but telling him tht he can't use the supplies. Raw and unedited images is not finishing our job. 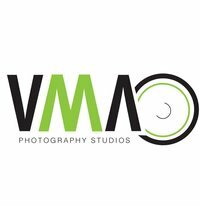 You hired a professional photographer to deliver final edited beautiful storytelling images of your one and only amazing wedding day. Q: do you travel worldwide? A: YES, It's one of the best parts of our jobs. We travel Local and world wide, Destination events are beyond special and we love the quality time working with you. We feel that we truly become friends and a bond that lasts a life time! We do have additional fees for this, but that for a further discussion. A: Vanessa, our album designer and GURU of all that is albums, creates your wedding story from the the ground up. She will provide you an email link to view, edit and make correction to the lay outs. Once approved via your client portal, we will ship out the work to our certified professional photography print house to develop and create your one of a kind album. Q: I have tummy rolls/cellulite/ etc. Can you fix that? 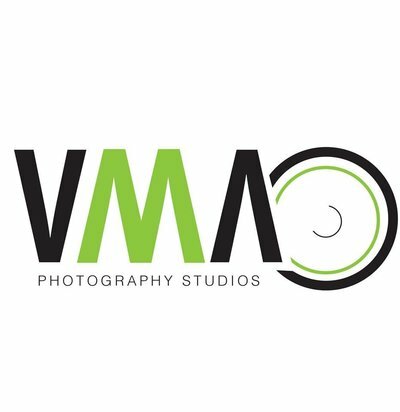 A: We are going to do what we do best, photograph you in the best way possible, while using creative light to photography in the best way possible. You are who you are, and we love you for you. Don’t worry too much about that , Your family and friends love you for you. If you want to look thiner, cool, lighting, lenses and clothing go a long way. Check out this link of best clothing to help get the best image. Q: when will i recive my photos? A: We typically deliver a sneak peak with in a day or two (we are just as excited for you to see them as you are). But It generally takes about 8-12 weeks to receive your full gallery. We need that time to go through your photos to best story-tell your wedding day, edit each photo, and prepare your online gallery. But, my goal is way sooner than that. Q: How many images will i recive? A: We want to STORY-TELLl your wedding in the best possible way. So to be completely 100% honest, I don't have an exact number. This question depends on so many factors; like how long we photograph, who we are photographing, how many locations are we traveling to, and so much more. But one thing I can promise you is that we will highlight YOUR WEDDING DAY STORY in the best way possible !!. A: This is a great question. My photographic style is to provide, clean, beautiful moments. That maintains a bold and clean style that is both dramatic and beautiful. True to live with a touch of Photo editing. My style is Artistic Storytelling Photography. Q: How far in advance do i need to book you? A: Book me ASAP! We have limited availability and our calendar fills up pretty fast. Q: How much of a deposit do you need? Q: can you hold my date? A: WE defiantly can,. If we get another inquiry for your date we give you first right of refusal and you will then have 24 hours to decide if you will commit to being part of our Photography family. And boy do we hope you do.